PhotoFill Photoblog -- PhotoFill.com: Happy Holidays! those are yummie! I can not wait to get my hands on those! Wow, great shot! But what the heck ARE these? 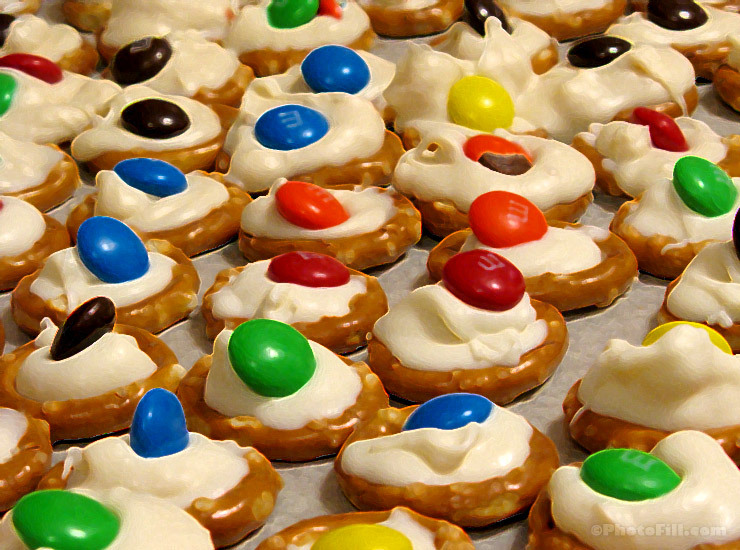 Little pretzel rounds with a dab of icing and an m&m each? I'm so intrigued.